Sitrex mower with five blades for a smooth cut and low horsepower requirement. Suitable for parks, golf courses, athletic fields, highway maintenance and farming. Solid rubber wheel (pneumatic wheel available on request). -Designed according to the most advanced technics, heavy duty gearbox and thick gauge deck. -Nylon idler pulleys with ball bearings. -Excellent cutter heads overlap for 100% cutting. 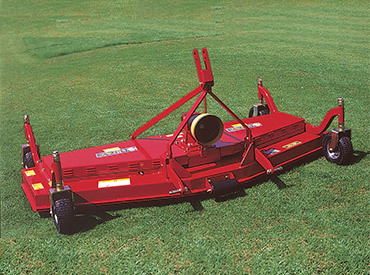 -Cutter blades of special steel, high suction for grass lifting and clean finish. -Cutting height adjusted by spacer bushings placed on wheel's post.